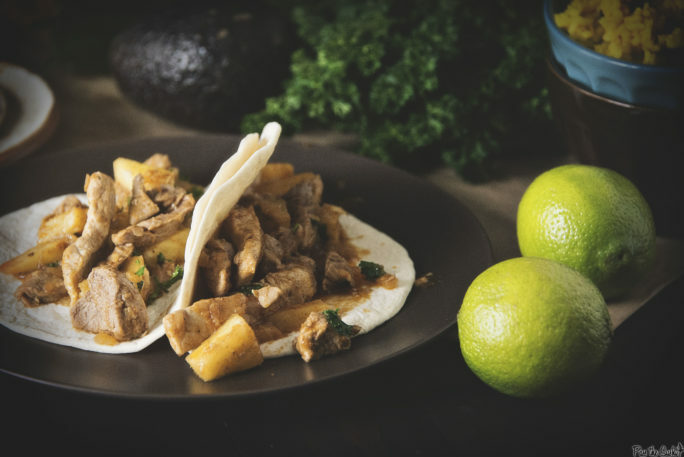 This recipe for pork and pineapple tacos is weeknight quickie for busy families, punched up with bright textures from the pineapple and simmer of chipotle peppers. Tacos are right up there with burgers on my happy list. Because you just can’t not love them and hang out in the cool kid lounge. They are perfectly proportioned little bites of awesome. So awe-inspiring, that once a week the world celebrates their impressiveness. Seasoned and stacked high with fun ingredients, therefore, the possibilities are endless. 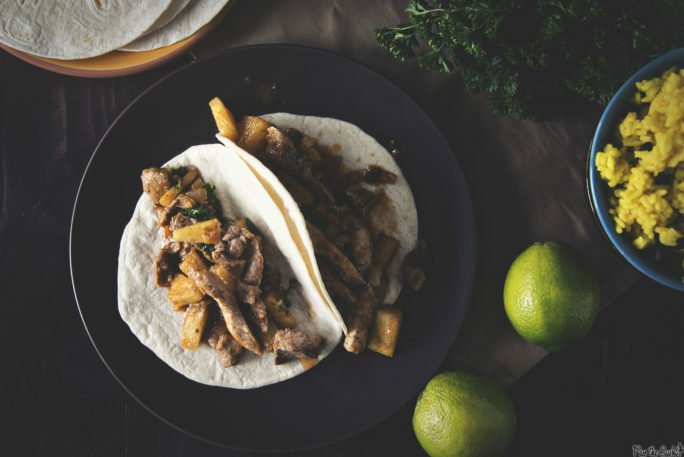 This recipe for pork and pineapple tacos is a weeknight quickie for busy families, punched up with bright textures from the pineapple and simmer of chipotle peppers. Have no fear. They weren’t overly spicy or hot, making them perfect for the adventurous family looking to zest up their recipe rotation. And, they are tacos. Win, win! Let’s ramp up some flavor and kick up a little weeknight fiesta. 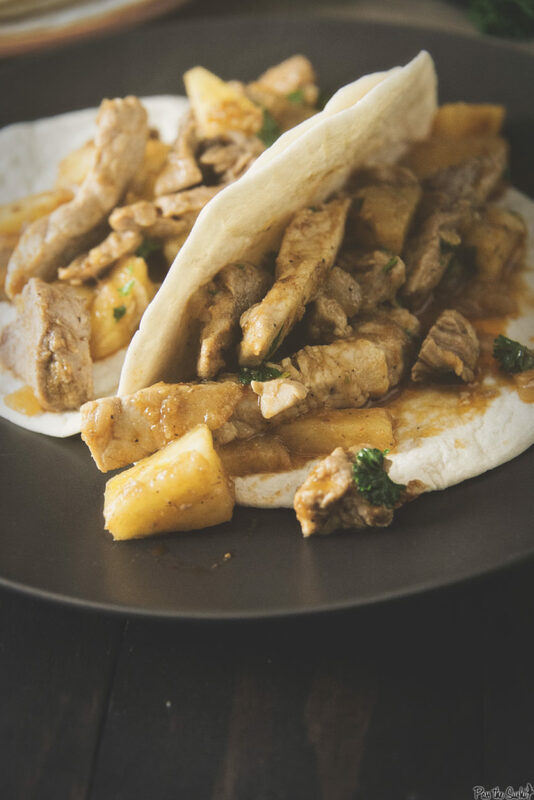 If you’ve tried my Pork and Pineapple Tacos recipe or any other recipe on GirlCarnivore.com please don’t forget to rate the recipe and let me know where you found it in the comments below. I get inspired by your feedback and comments! 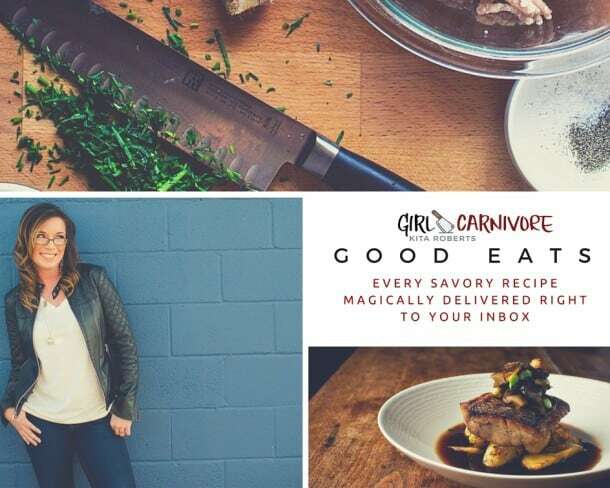 You can also FOLLOW ME on Instagram@girlcarnivore as well as on Twitter and Facebook. Tacos are my happy place. 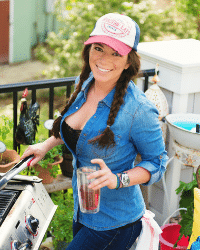 From the super simple, to the loaded twisted tacos you’ll find on this site. I want all of them. 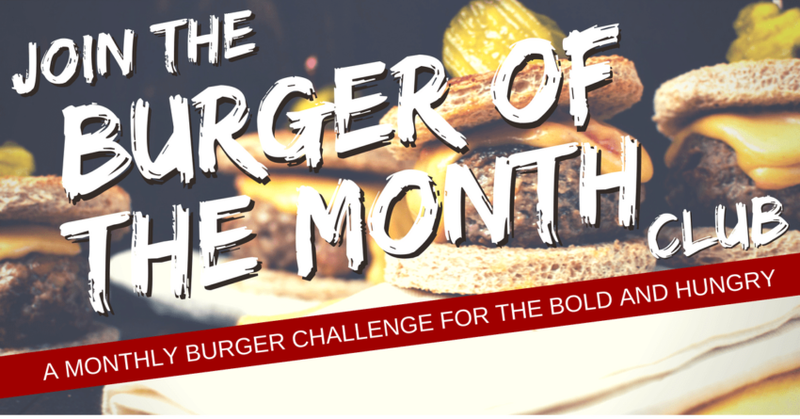 Try these out next Tuesday! Do it! Heat 1 tbs oil in a large skillet over medium high heat. Add the pork to the skillet and cook until no longer pink, turning as needed, about 5 minutes. Transfer to a plate, set aside. Add the remaining 1 tbs oil to the skillet. Reduce the heat to medium. Add the onion and cook until beginning to brown, about 4 minutes. Add the garlic and cumin, cook 30 seconds. 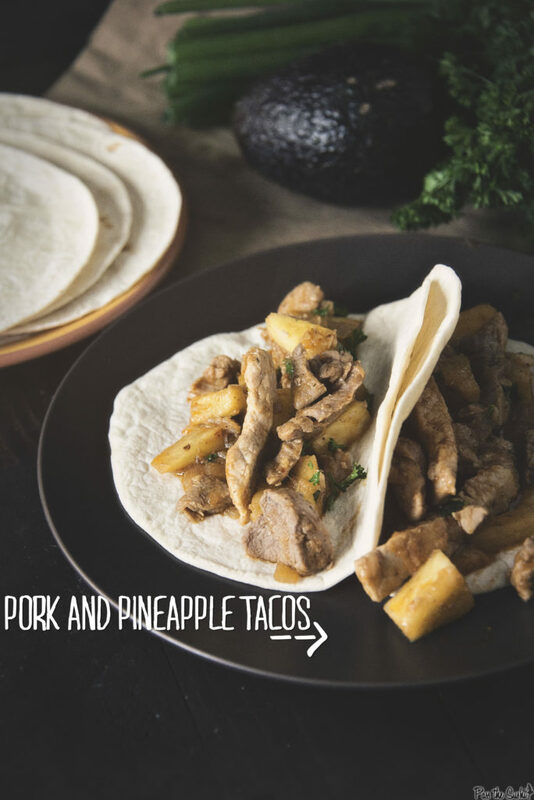 Add the pork and any juices back to the pan with the pineapple, pineapple juice, and chipotle pepper. Bring to a simmer and cook for 10 minutes, until thickened and the pork is cooked through. Remove from heat, stir in the cilantro and season as needed.